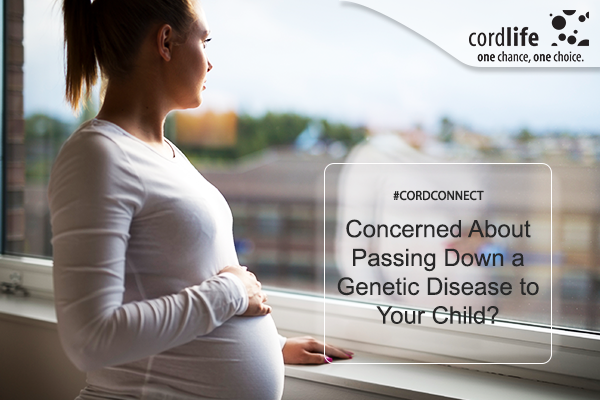 Home > Cord Connect > Cordlife India > Concerned about passing down a genetic disease to your child? Concerned about passing down a genetic disease to your child? Not all diseases are genetic. But what about the ones that may pass to your children? Some serious illnesses like sickle cell anemia, cystic fibrosis, Marfan syndrome, Huntington’s disease are genetic. What are the chances that your child may inherit the diseases from you or any of your family members? Many future parents are concerned about genetic diseases before they start family planning. Some time they are aware of the risk but sometimes they don’t have enough information about their family medical history. What should you do in either case? Read on. First try to gather enough knowledge about all the diseases that run through your family. Secondly, educate yourself about how the diseases pass through your next generation. There are mainly five factors that are responsible for genetic disorders. Autosomal dominant inheritance: In diseases like Marfan syndrome and Huntington’s disease, only one parent is responsible for the generic disorder. Any one of the parent has the mutated gene in any one of the first 22 pairs of chromosomes. In such cases, there is 50% chance that the child will be affected by the genetic disease. Autosomal recessive inheritance: Two of the most common examples of Autosomal recessive inheritance are Cystic fibrosis and sickle cell anemia. In this case, both the parents are responsible for passing the genetic disorder to the child, unlike autosomal dominant inheritance. In these diseases, one mutated gene from each parent pass to the child. X-linked dominant inheritance: In this case, the gene mutation is found on the X chromosome, however, there are differences how female and males pass the genetic issues down their children. A male with the X-linked dominant disorder passes the disease to his daughter. On the other hand, a female with the X-linked dominant disorder poses a 50% chance of passing the disorder to all of her children, irrespective of male or female. In this case, children often tend to suffer from cognitive impairment and learning disabilities. Male children with fragile X syndrome are greater in number than female. X-linked recessive inheritance: Disorders like Duchenne Muscular Dystrophy, colorblindness, hemophilia are caused by X-linked recessive disorders. The pattern of X-linked recessive inheritance is similar to X-linked dominant inheritance; however, in this case, daughters are more likely to be the carriers than be affected by the disorder. Y-linked inheritance: Y-linked inheritance affects male children only. A man with Y-linked inheritance typically passes on the disorder to his son. This disorder leads to infertility and difficulties in male reproductive organs development. Now you must be wondering how to know if you will pass on a genetic disorder to your child? Simple. If any genetic disease runs through your family, it’s best for you to go for genetic carrier testing for you and your partner before conceiving the child. This test will let you know if any one of you is a carrier of any genetic disorder. Speak to your doctor today to know more about the test. You may also consider umbilical cord blood stem cell banking right after your child birth, which will protect you from many genetic diseases. 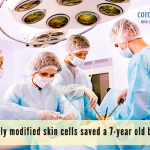 Write to us if you want to know how umbilical stem cells can save you. Banking a baby’s cord blood may save their life. Is it worth it? Will you ever get a good night’s sleep post your baby’s birth?